Children usually start to read in kindergarten. But learning to read actually begins much earlier. As a parent, it is important to give your young child lots of chances to hear books and stories, sing songs, and learn the letters of the alphabet. All of this will get them ready for kindergarten and help them succeed in school. 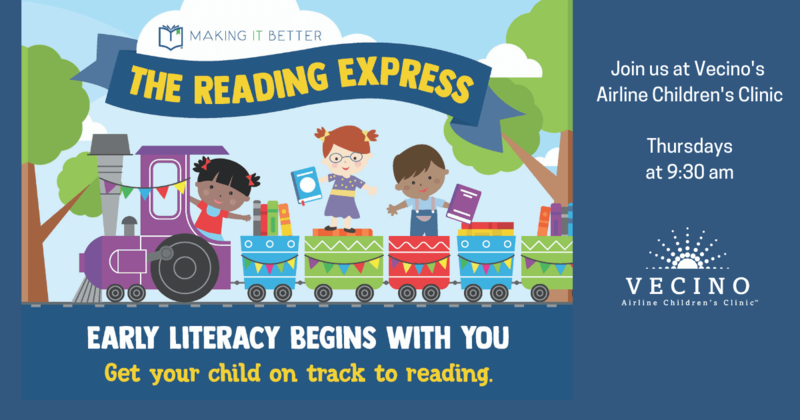 The Reading Express is a new, weekly program at Airline Children’s Clinic that helps young children prepare for kindergarten. Parents/caregivers and children 2 months to 4 years old are welcome to attend. No signup is necessary. 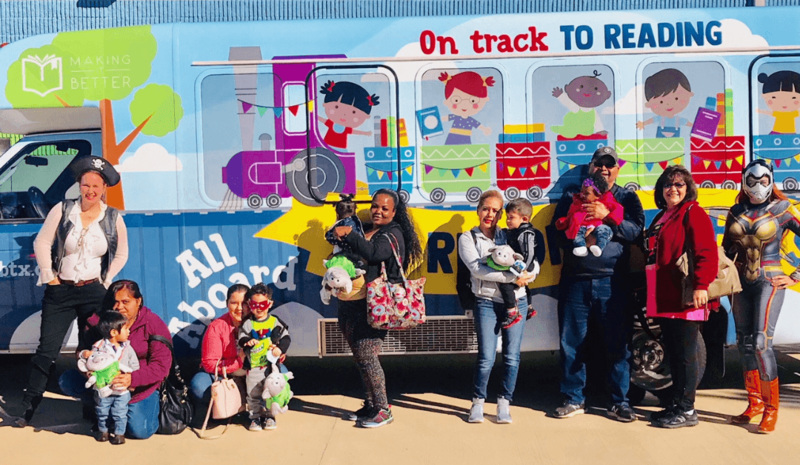 You and your child will sing songs, play games, and listen to stories led by a reading specialist. You will also learn new ways to help your child learn reading skills at home. And as a bonus – each week your child attends, he or she will get a book to take home!